The rule of supply and demand is one of the basic tenets of economics, and in our little slice of the craft beer world, you’d be hard pressed to find a better example than Bell’s Hopslam. This double India pale ale (IPA), replete with its own cult following, is one of the most highly anticipated — and scarcest — beer releases of the year. Cans should be hitting store shelves this week, but people have been calling to ask about it seemingly nonstop, according to Chris Kitzmann, beer manager at Cottage Hill Package store. “I’ve had about 30 calls just this morning,” Kitzmann said on Fat Tuesday. If you’re lucky, there might be a six-pack or two still available after this week. It’s doubtful but possible, and that’s a very good thing for craft beer. 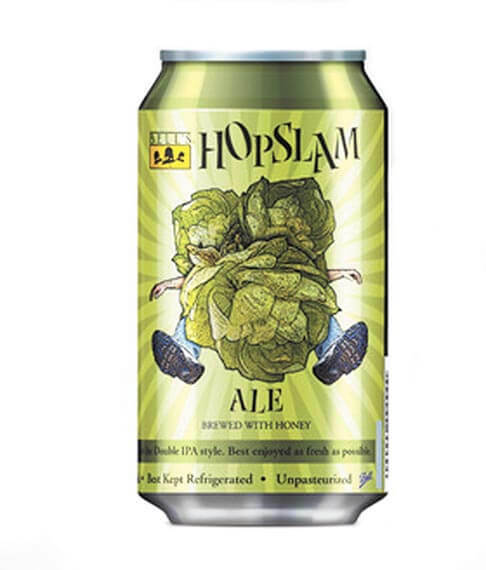 Chances are, if the beer were offered year-round, the demand would fall off alongside the volatile hop aromas as cans sat on shelves a lot longer than they do, and that would not be a good thing for craft beer. Hop aroma and flavor, which constitute a “hoppy” beer for many drinkers, are the first characteristics of a beer to fall off. It’s why an IPA at a brewery may taste amazingly fresh and dank while the same IPA out of a five-month-old bottle from the grocery store will exhibit more malt character, often muddying up the very distinct hop flavors that make fresh IPA so popular. 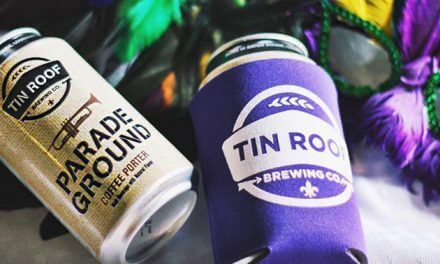 When it comes to shelf life, 180 days has been the standard for many craft breweries, a blanket range that encompasses just about every beer in a brewery’s portfolio and assumes the beer is kept in ideal conditions — away from heat and light. But that’s changing, especially as IPA brewers ratchet down the bitterness and focus their attention on the delicate flavors and aromatics that are imparted by late hopping in the brewery. Asheville, North Carolina’s, Wicked Weed Brewing Co., for example, has just a 60-day shelf life for its Pernicious IPA, an amazingly flavorful IPA that took home a silver medal for American IPA at last year’s Great American Beer Festival. And that’s assuming it’s kept cold and away from ultraviolet rays the entire time it takes to go from the brewery to the distributor to the retailer and then to the customer. No, there’s not something that turns it into a pumpkin beer at midnight on the 61st day, but it’s what the folks at the brewery have determined, through analytical tastings, is the point at which the beer no longer represents what they want Pernicious to be. If anyone knows best, it’s the folks making the beer. I’m not saying you need to turn your nose up at a beer that’s more than a couple of months old, but I do suggest looking for a bottled-on or best-by date to help inform your choices. No one makes that process easier than San Diego’s Stone Brewing Co., which has an entire “Enjoy By” line of IPAs that tell you front and center the date by which you should drink this “devastatingly fresh” double IPA. \ Smaller type, printed directly on the bottle neck, indicates both the bottled-on date and the enjoy-by date, a span of just 47 days. Dan Murphy is a Certified Cicerone® and the founding brewer at Fairhope Brewing Company. Follow him on Instagram @Grand_Krewe and on Twitter @Beer_Man_Dan.